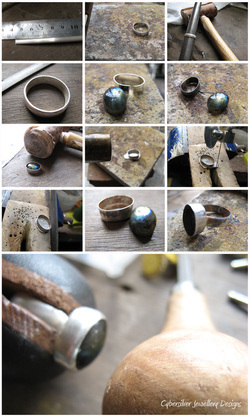 I am a tutor at my local Arts Centre, where I teach silver jewellery making at weekend workshops and evening classes. I love seeing the fantastic work my students create during these classes. I have been lucky enough to win the Cooksongold jewellery design competition three times and to have been featured in The Bench magazine. My work is Hallmarked at The Goldsmiths’ Assay Office. Pieces over 7.78g in weight are hallmarked with my unique maker’s mark at The Goldsmith's Assay Office, London. This is a requirement under UK law and is your guarantee of silver purity. If you have any queries or would like to discuss a commission, please feel free to message me via email at cybersilverjewellery@hotmail.co.uk or phone me on 07874852111 (mobile) . And if you would like to be kept updated of new designs, promotions and offers, please subscribe to my NEWSLETTER and/or follow my BLOG.